Info: Mike Greene is Soul Plasma from Portland, Oregon, who firmly established his name as a key member of the Acts 29 project along with Ohmega Watts and Braille. 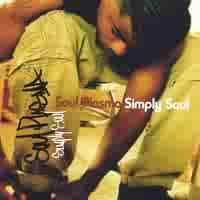 Soul Plasma released his debut album Simply Soul in 2003. 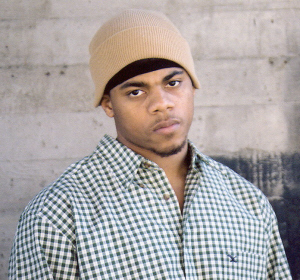 After two albums he changed his name into Soul P. in 2006. A second alias seems to be Easy Mccoy he used for the first time in a MySpace bulletin dated October 30th, 2007. The name came from a freestyle on the Back At It Again Mixtape (2007). Born and raised in Seattle, Soul P. grew up in The Yesler Terrace neighbourhood, there he came face-to-face with the harsh realities of the streets at an early age. Though he was surrounded by crack cocaine and gang warfare, Soul P. persevered with the help of God and came out even stronger than before. As the MC states about his struggles: "It was tough when I became a believer. It was tough, because there were still things I wanted to do. However, in the end, faith was more rewarding when I won those battles with the strength of Christ. My spiritual journey has been a constant uprising, and everything became so much better when I understood God's grace and mercy. It wasn't my own strength that got me through the hard times." The MC came from a broken home and ended up in a correctional facility. Soul P. needed to stop his negative lifestyle. He tells about what needed to happen for him to change: "[...] the day that I truly accepting Christ in my heart. Not the moment I stepped into church and said a prayer and started going all the time, and just following the motions or the moment I found religion, because since I was 12 years of age I said prayers and was baptized and I was falling in the same traps in and out of jail, hustling just like a lot of young cats do right now [...] So man when I understood the reason Christ came and died for me, that was the day I stopped falling into the traps. [...] And now I feel I can be father to my son, and the right husband for my wife. And a productive individual". As a youg man a NWA album got him started rapping and freestyling in his neighbourhood. His favourite style back then was gangstarap. 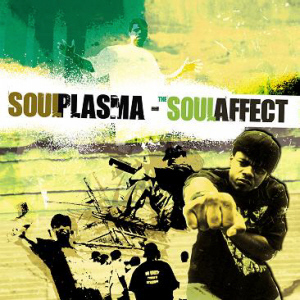 Soul Plasma's debut album Simply Soul (2003) received a lot of good reviews and his sophomore release is called "The Soul Affect" (2005). On the 2nd of May 2006 it became known that Soul Plasma, now called Soul P. for the first time, signed to Beatmart Recordings. 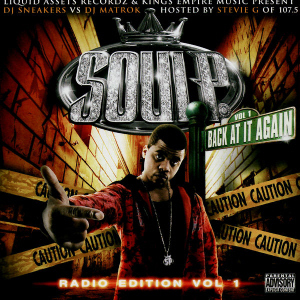 In the summer of 2005, Soul P. opened DJ Morphiziz's second volume of the Best of the Submissions, with the track "5 Fingers". Working with producer Todd Collins he continued to build a close relationship with Beatmart Recordings and Todd over the following months, which soon lead to talk of an official record deal and culminated with Soul P. joining the Beatmart roster. His third album is called "The Premiere" released on Beatmart Recordings in December 2006. The first album using the name Soul P.
The video for "Whoa Whoa!" premiered on Thursday, February 8, 2007 and is the first video released by Beatmart Recordings. 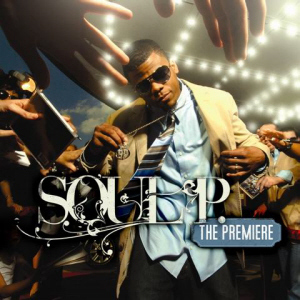 It's Soul P.'s music video debut as well, and the first video from the album The Premiere (2006). 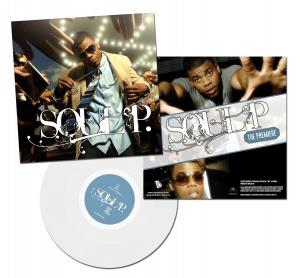 Soul P. signed to mainstream label Liquid Assets Recordz, after Beatmart Recordings hit difficult times in 2007. On August 13th, 2007 the MC announces a new mixtape entitled "Back at it Again" with contributions of DJ Sneakers and DJ Matrok. The MC is also working on his fourth full length album "The LayOver". The project was first called "The King's Empire". Source of Quote: Shotgunreviews.com ; Beatmart.com ; MySpace Blog: Back at it Again "The Mixtape", August 13th, 2007 ; MySpace Blog: What's New with Sharp?, September 5th, 2007 ; Dasouth.com: The Miseducation of Soul P. aka Easy McCoy / Zee, March 13th, 2009. Info: The album is scheduled for release in the Summer of 2009. The project is formerly known as The King's Empire. Info: This limited edition vinyl 12 inch record is released in February 2007 for promotional purposes only and contains alternate mixes of the original tracks. Info: The mixtape is released on February 19th, 2007. Mixed by DJ Sneakers & DJ Matrok. Albumcover contains explicit lyrics warning. Info: The vinyl 12 inch record is released in the spring of 2006. Info: The record is released on December 26th, 2006. 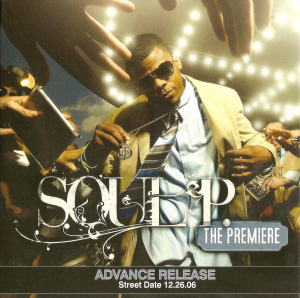 It's the first album released under the name Soul P.
Production by Todd Collins, Winona Drive Productions and Tony Stone. Info: Track 1 - written by Soul Plasma, produced by Centric, scratches by DJ Flip Flop. Track 2 - written by Soul Plasma, produced by The Carolina Boy, Saxophone Roby Edwards. Track 3 - written by Soul Plasma, Destro, produced by DJ Flip Flop. Track 4 - written by Soul Plasma, Toni Hill, produced by Elected Official, extra background vocals by Barry Hampton. Track 5 - written by Soul Plasma, L-Pro, Urban Truth, produced by DeepSix. Track 6 - written by Soul Plasma, L-Pro, Barry Hampton, produced by Elected Official. Track 7 - written by Soul Plasma, produced by DJ Flip Flop, scratches by DJ Flip Flop. Track 8 - written by Soul Plasma, Olivia Warfield, Tony Stone, produced by Tony Stone. 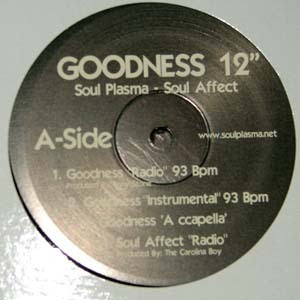 Track 9 - written by Soul Plasma, produced by DJ Flip Flop. Track 10 - written by Soul Plasma, Nio Supreme, Libretto, produced by Pale Soul. Track 11 - written by Soul Plasma, produced by Centric. Track 12 - written by Soul Plasma, Nio Supreme, produced by Centric. Track 13 - written by Mike Crenshaw. Track 14 - written by Soul Plasma, produced by The Carolina Boy. Track 15 - written by Soul Plasma, produced by Whyos, scratches by Nickels. Track 16 - written by Soul Plasma, produced by Coley Cole, scratches by Nickels. Track 17 - written by Soul Plasma, Roosevelt, produced by Mazz. Scratches by DJ Arkitek, Nickels, DJ Because, and Muneshine.